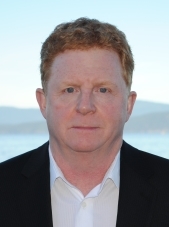 John A. Davis is a lawyer based in Parksville with more than 25 years of experience assisting persons with their injury claims arising out of motor vehicle accidents. John represents only injured parties and not insurance companies and has handled cases involving most types of injuries. Call John for a free initial consultation. Call John to get the settlement you deserve. In addition, John can assist you with all aspects of real estate law, whether you are buying or selling a home, getting or granting a mortgage, or subdividing or developing property. Call John – experience counts. John lives and works in the Oceanside area, is married to Debbie and has two kids. John is a member of the Trial Lawyers Association of British Columbia and is active as a director of the French Creek Harbor Authority. John also enjoys scuba diving and boating.